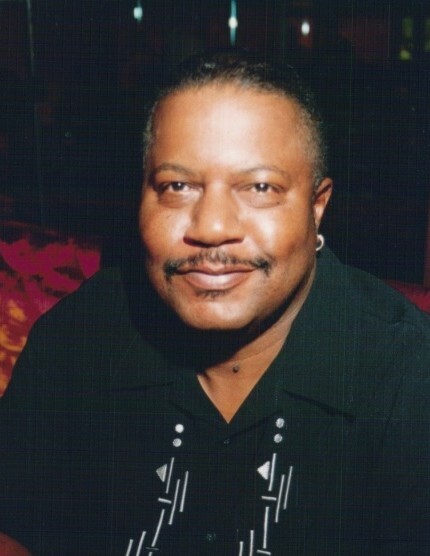 DuVal “Val” Robert Bailey III was born on September 1, 1950 to his parents, the Rev. and Mrs. DuVal (Geraldine) Bailey, Jr. in Fort Wayne, Indiana. He was one of seven children. He went home to be with the Lord on Sunday, March 17, 2019 in Avon, Indiana. He accepted Christ at an early age while attending Turner Chapel A.M.E. Church where he was a member for 40 years followed by his devotion to Christ under Pastor Ternae T. Jordan Sr. at Greater Progressive Baptist Church. Val graduated from South Side High School in Fort Wayne, Indiana. He attended Indiana University - Fort Wayne where he pledged Kappa Alpha Psi Fraternity, Inc. in 1973. He married Gwendolyn “Gwen” Singleton on August 17, 1974. To this union were born two children: Eboni Michelle and Jamie DuVal. Val loved the 3C’s: Corvette (1969 “Batmobile”), playing cards, and chess. He is known for talking smack while doing all three. He hated to lose but he won in life. He was passionate about community service as he served as Board Chair and active member for the Old Fort YMCA for many years. He served as Polemarch for the Fort Wayne Alumni Chapter of Kappa Alpha Psi, Inc. where he led and participated in many community service activities. He always worked hard and started his own black-owned business, Bailey Bonds, in 1991 until he retired in 2015. Most importantly, Val cherished family. He served as Highwarden Taylor Chambers Family Reunion President for years and passed along his love for family to the next generation. He loved spending time with his wife, siblings, children, grandchildren, nieces/nephews, friends and frat whether it was dance offs at family gatherings or playing basketball in the driveway. Val leaves to cherish his memory: his wife of 44 years, Gwendolyn Bailey; two children: Eboni M. (Thomas) Russell and Jamie D. (Karen) Bailey; his brothers: Stephen J. Bailey Sr. and David A. (JoAnn) Bailey I, and a sister, Vicki R. (the late Robert) Williams and his beloved grandchildren: Jaren Allen, Justin Thomas and Augusta DuVal along with a host of nieces, nephews, and special friends.